Rinse quinoa in a fine sieve, drain and boil in a medium pot for approx 12 minutes and add a pinch of salt (similar cooking instructions to rice). Boil the green lentils for about 20-30 minutes until soft, then drain them in a colander. The red lentils only need draining as these will cook much quicker and don’t require prior boiling. Peal and chop the butternut squash into 1 cm square cubes and boil for 10-15 minutes until soft but still retaining their shape (par boil), drain in a colander. Dice the carrots, celery and orange bell pepper.. Finely dice the shallots and garlic. In a large non-stick pan heat the rapeseed oil and sweat the shallots and garlic for 1 minute, then add the carrots, celery and pepper. 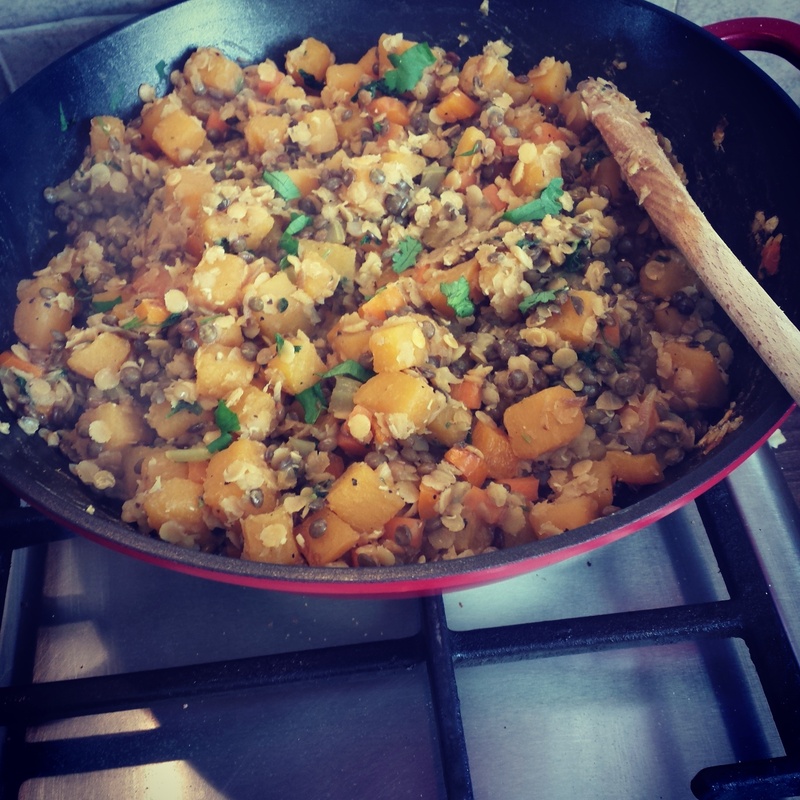 Add the cooked butternut squash, green lentils, red lentils and then the coriander, cumin and ground black pepper. Gently stir all ingredients for 1 minute before adding the stock. Add the fresh herbs. Simmer on a medium heat with the lid on for a further 5 minutes or until the lentils have absorbed all the liquid. 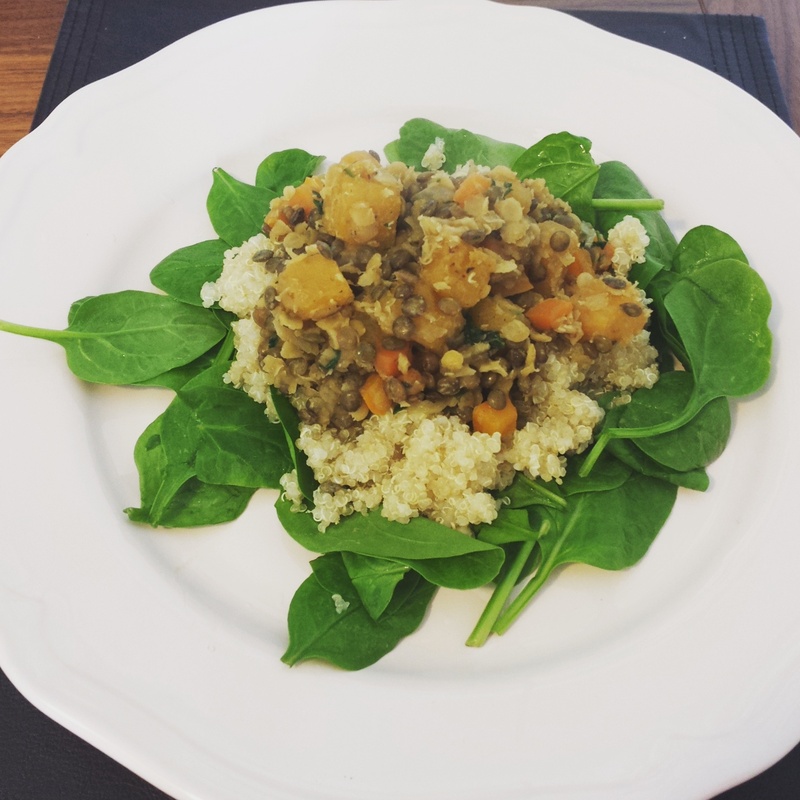 Serve on a bed of washed spinach, place the quinoa on top of the spinach and then top with the lentil salad. Many people think that quinoa is a grain – like wheat or rice. But really it’s a vegetable seed. For vegetarians and vegans, quinoa is an excellent source of protein that contains the nine essential amino-acids your body needs to function optimally. Quinoa contains around 20 percent protein, which is higher than rice, millet or wheat. Adding quinoa to meals in the form of salads, sides or main courses can ensure that your body receives adequate protein to build and rebuild tissue. It is packed full of Riboflavin (B2) and Magnesium which is shown to help increase energy and reduce the occurrence of migraines, as well as helping cells function optimally. Meanwhile, magnesium helps to prevent hypertension by relaxing the muscles around your blood cells. It is low calorie, gluten free, low GI and high in fiber to keep you fuller for longer as well as lowering cholesterol. It is also a good source of Iron, lysine and Manganese. Having the proper balance of iron in your diet helps your muscles function properly to supply oxygen to the brain as well as regulate body temperature and enzymes. By ensuring an adequate intake of lysine, your body can repair tissues quickly. And the anti-oxidant manganese helps to protect mitochondria and red blood cells from damage. 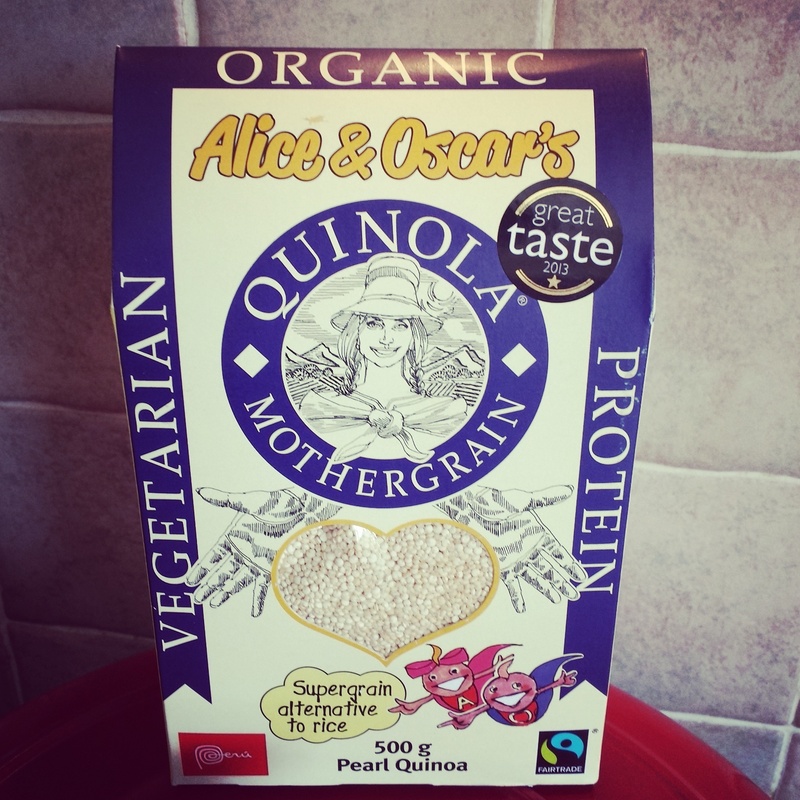 For me the best reason to eat quinoa is for it’s anti-inflammatory properties. Consumption of quinoa has been shown to have anti-inflammatory effects in animal studies – including a reduction in obesity by lowering levels of fat tissue. By including quinoa in your diet you are also promoting healthy growth of bones by assisting the absorption of calcium and the development of collagen. Quinoa can be used in bars, to replace oatmeal for breakfast, in salads or granola, in soups, or even in homemade veggie burgers and can also be found in flour form for pancakes, baking and other treats. The possibilities are endless and best of all, it tastes really good!